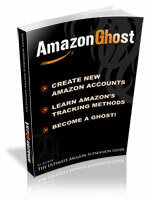 I was working on creating a Ghost Account and was going to set up an LLC. However, does it matter that my name is attached to the LLC? or do I need to get a registered agent or something else to hide my name from the LLC so Amazon can't see it? Also, when registering on Amazon don't I need to register my name that is tied to the LLC? Lastly, what happens if Amazon asks for my driver's license or SSN? Last edited by thielsteven; 03-15-2019 at 04:37 PM. If you have used your Driver's License before of course you are not supposed to use the same name cause it would get linked. Some suggest to use your Passport if you have not used it as passports do not have any address on them. I have never done the address thing so I am not sure. Amazon would DEFINITELY ask for a piece of id these days and the name you are using obviously has to match with ID. If you cannot use the same Id you have used before, you need to get creative or else your account would get linked. Ok sounds good thank you I will use my passport if needed. If I have an LLC as the name on my account then I wonder if that matters since there will be nothing linking the passport to the info on my account. You need to elaborate on that with example names before I can make sure I understand your question fully, so I can answer it. Sorry about that. I meant, if I register a new Amazon account under an LLC with the name "XYZ Company," they wouldn't have my personal name to link it to my passport or ID that I used for verification in any way, correct? Since I register with an LLC there would be no ties to my personal name which is shown on the passport?